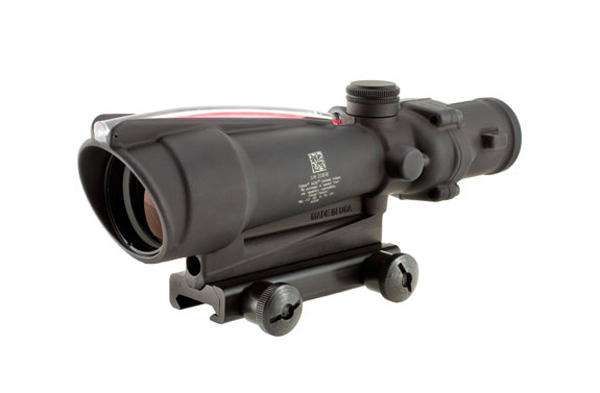 ACOG 3.5x35 scope with Red Chevron BAC Reticle- The ranging reticle is calibrated for 5.56 (.223 cal) flat-top rifles to 800 meters. Includes Flat Top Adapter. The chevron reticle is designed to be zeroed using the tip at 100 meters. The width of the chevron at the base is 5.53 MOA which is at 19 at 300 meters. This allows range estimation for silhouette targets. Comes with free Scopecoat protective neoprene cover!